The strength of the oak is the promise of the acorn. 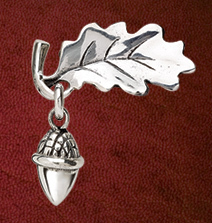 Tiny acorn and oak leaf pin shines with hope. Sterling silver.